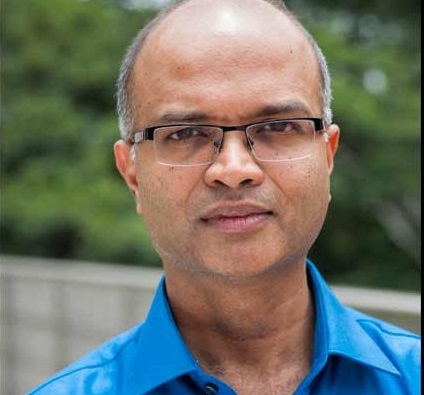 Sriram Rajamani is Distinguished Scientist and Managing Director of Microsoft Research India. His research interests are in designing, building and analyzing computer systems in a principled manner. Over the years he has worked on various topics including Hardware and Software Verification, Type Systems, Language Design, Distributed Systems, Security and Privacy. His current research interest is in combining Program Synthesis and Machine Learning. Together with Tom Ball, he was awarded the CAV 2011 Award for “contributions to software model checking, specifically the development of the SLAM/SDV software model checker that successfully demonstrated computer-aided verification techniques on real programs.” Sriram was elected ACM Fellow in 2015 for contributions to software analysis and defect detection. Recently, Sriram has been elected Fellow of Indian National Academy of Engineering. Sriram has a PhD from UC Berkeley, MS from University of Virginia and BEng from College of Engineering, Guindy, all with specialization in Computer Science. Sriram was general chair for POPL 2015 in India, and was program Co-Chair for CAV 2005. He co-founded the Mysore Park Series, and the ISEC conference series in India. He serves on the CACM editorial board as co-chair for special regional sections, to bring computing innovations from around the world to CACM. If you want to know about MSR India’s Research Fellow Program and how to apply see here. If you want information about MSR India’s travel grant program please see MSR India’s webpage, and click on the “Academic Outreach” TAB. The page also shows how to apply for travel grants online. If you want a job at MSR India please apply online. Special request to parents: If your son or daughter wants a job or internship at MSR India, please ask them to apply online. Prior to moving to Microsoft Research’s India lab, I was manager of the Software Productivity Tools group in Microsoft Research Redmond. I have a PhD in Computer Science from the University of California at Berkeley, MS in Computer Science from the University of Virginia, and a BE in Computer Science from Anna University College of Engineering, Guindy, in Chennai. Previously, I worked as a programmer for over 5 years writing telecommunication software and electronic design automation software. My first-hand experience in the realities of commercial software development guide my choice of problems and approaches to research in software productivity. I’m an Adjunct Professor at the Indian Institute of Technology in Hyderabad and serve on the editorial board of CACM. I co-founded the ISEC conference in India, and serve on the executive committee of the Special Interest Group on Software Engineering (SIGSE) in India. I have also co-founded the Mysore-Park workshop series in India. Together with colleagues at MSR India, I am working on a blended learning model (combining online learning with in-classroom pedagogy) for education in India. For more detais see: Massively Empowered Classrooms. I am very interested in CS research community activities in India. See Mysore-Park workshop series. I have chaired or co-chaired the following conferences in the past. Due to my research and management workload at MSR India, I am currently not undertaking any conference chairing roles.